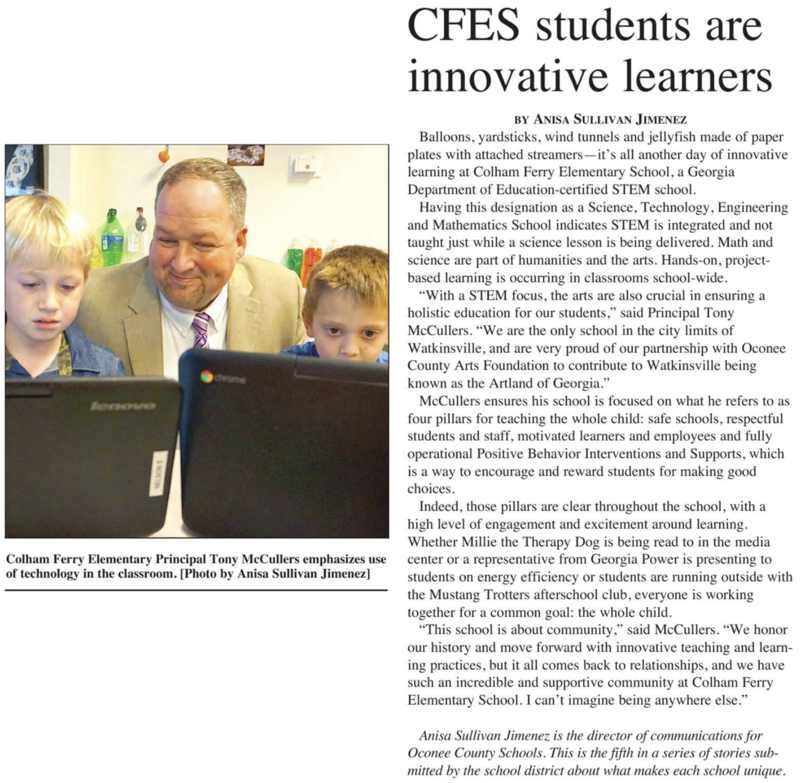 Colham Ferry Elementary School Motivated students enjoy learning and are successful students! Because we believe that student motivation is so important for school success, we have initiated a school-wide Motivated Mustang program. Our goal is to provide instruction, activities and experiences which help students grow in the areas of academics, citizenship and problem solving. The Motivated Mustang program is designed to encourage growth in intrinsic motivation, responsibility and student initiative for students at all grade levels. During pre-planning, CFES teachers developed a list of attributes which they believe are essential for success in school and in life. The Motivated Mustangprogram will focus on those attributes through instruction, procedures, and peer collaboration. Lessons will target activities designed to encourage individual responsibility, academic growth, critical thinking, and integration of technology. Students will participate in learning projects, classroom meetings, and individual goal setting activities during the school year to strengthen student motivation. As teachers developed the list of essential attributes, they also designed a Motivated Mustang visual model. We are sharing this graphic model with students, parents, and the community to help communicate an awareness of our key goals. The model addresses all areas of development and reflects our concern for the whole child. During the year, we will recognize individual students who exemplify Motivated Mustang characteristics. We encourage you to send ideas and activities which motivate your child.